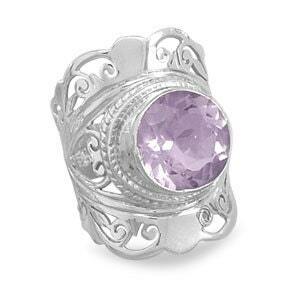 Large ornate sterling silver ring with 12.5mm center pale amethyst stone. Top design area of ring measures 27mm. This ring is available in whole sizes 6-10.